Firstly, prepare yourself for lots of pictures! 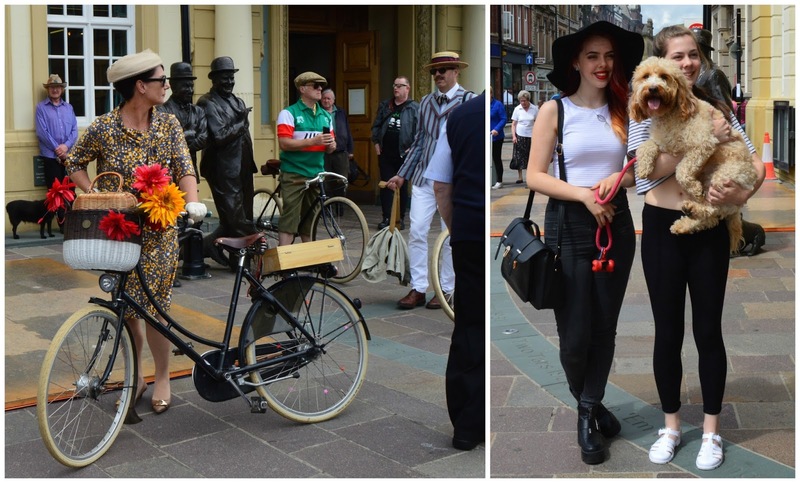 This weekend I had the pleasure of attending Ulverston town's Retro Rendezvous Festival, an event that celebrates British past, post and pre wartime, transforming the cobbled streets of the small South Lakes town into a 40's, 50's and 60's time warp that everyone can enjoy. We arrived in the centre of town and were greeted by the thud of drums, morris dancers dressed head to toe in all of the bells and whistles (literally) and the smell of British food stalls. Little Mylo, our pup, came along with us and almost slipped his collar because he was scared of the dancers. They were fantastic but must have been too loud for him! I didn't actually purchase any of the food in this area but have done at previous festivals- you can't beat a home made loaf and it's nice to support the small local businesses first hand. The streets were packed full of people of all ages and walks of life. Older folks bound in leather jackets and biker boots, farmer's in their flat caps, smart looking mustaches, walking pin-up girls and cowgirl-retro ladies. Along one of the streets there were rows of vintage cars, from Aston Martin's to Cortina's and Ford pick up trucks! I'm not a car girl myself but sitting in any of those would've made me feel like Audrey Hepburn! As you know, I'm a creative person and absolutely craze over cute craft stalls so when I came across Miss Marple's hand made buttons, pins and necklaces etc I had to have a dip in the surprise basket of goodies. My parcel was yellow bird badge with 'FLY' written across it. It's now pinned on my hat to keep the ribbon together as it was about time I fixed it! So why not with something as pretty as this. We checked out nearly every stall along the way. Something I really enjoy about festivals like this is getting to talk to the owners of the stalls, getting to know how they make their products and if they do it for a living. 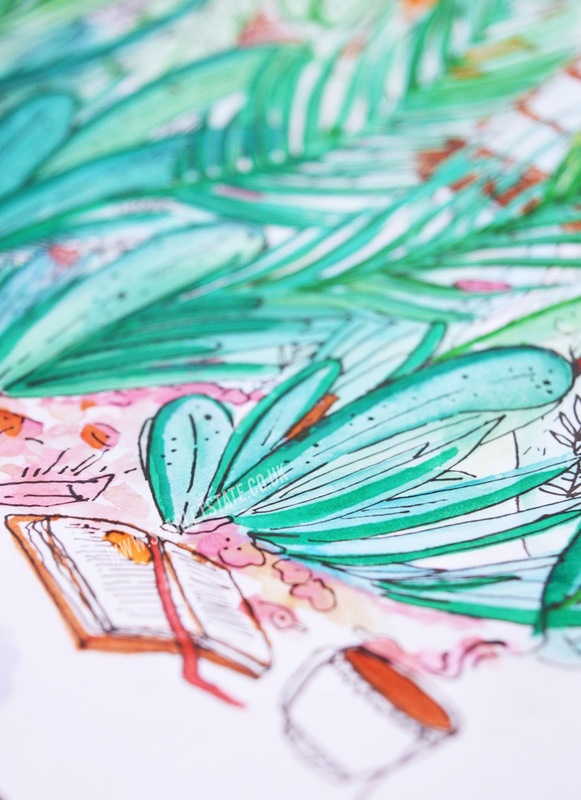 It'd be an absolute dream for me to live off the money my illustrations/products earn yet it seems so far out of reach at the moment! Also it's just nice to get chatting and make connections, hear about people's lives. 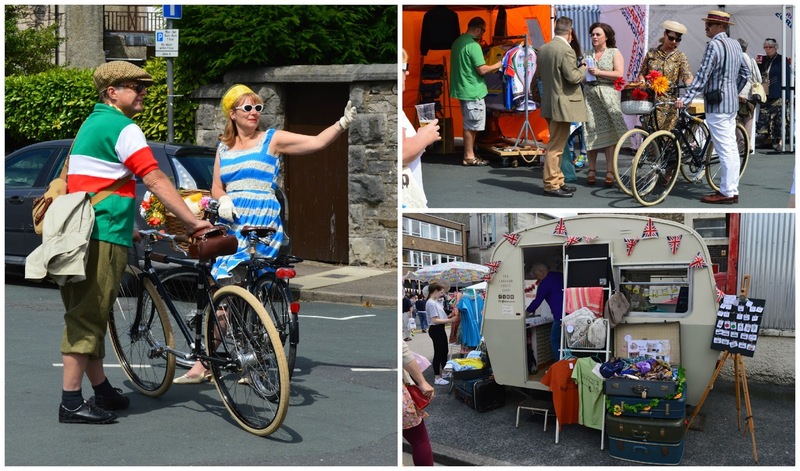 My favourite stall was Craftevan, 'the mobile craft shop based on the values of nostalgic travel and transport.' Julie, the lovely lady who runs it has been taking it on a summer adventure (that actually runs until October) touring all over Britain. 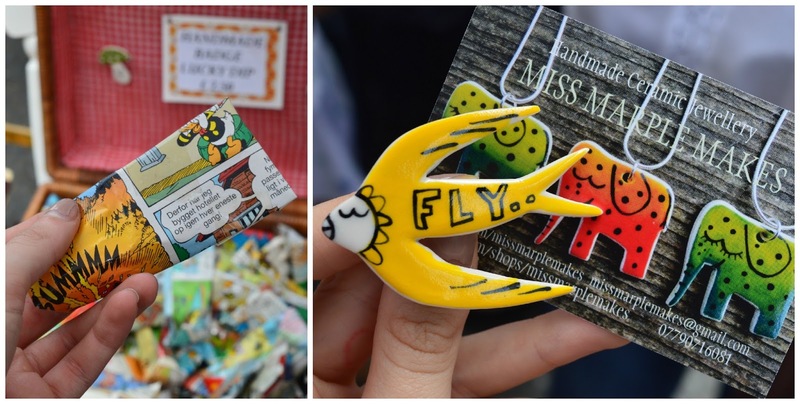 She also goes to international car shows with her Mini, combining her love of textiles and craft with her love of cars the fresh, quirky caravan was filled with things from clothes to paper lanterns and badges. I didn't make a purchase though I wish I had! I did however, treat myself to a tube of Lakeland Soap's handcrafted bath salts which I'll be using and telling you all about sometime next week! (Update, you can see this post here) This was another stall where I got chatting to one of the owners and found out about the awesome places that they create the soap. The tube I chose is packed with salts and petals, just what I wanted after a whole day of being on my feet. Later we headed to a coffee shop and were approached for a photo that will be featured in a magazine called Lancashire Life, which I'm looking forward to seeing in print sometime in the future! I could write all day about the different types of stalls but there were so many. Aside from the clothes and vintage trinkets there were pianists, cyclists, street performers, Breakfast at Tiffany's and hair salons. As you might know, I love finding new places and people- see my post on The Secret Garden here. Every nook in every street was bursting with colour and life! If you're local (or even just passing by) you should definitely check it out before it finishes tomorrow evening! If you can't make it this year then take a look at their website and tell them if there's anything you'd like to see next year. 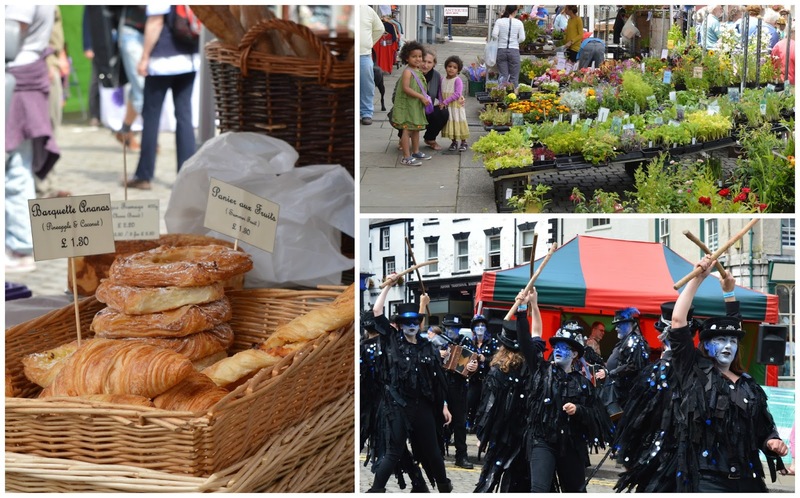 Events like this really do pull the local towns closer together and this one even introduced me to ways of making a living that I'd never have thought of before! Are there any street festivals where you are? I'd love to hear your thoughts on this one in the comments! See more from Craftevan here. I LOVE your outfit, looking gorgeous and that Fly pin is so nice on your hat. I love little festival events like these, everyone looks so fancy!